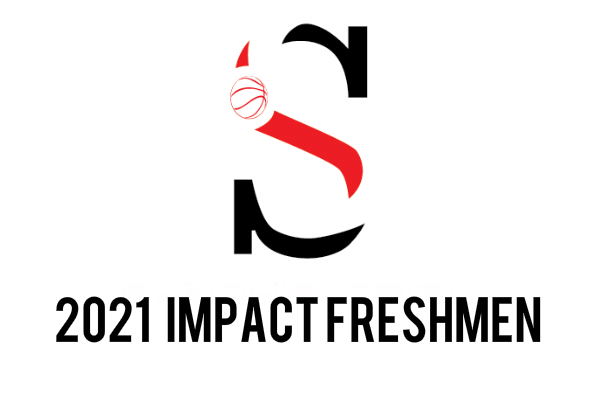 Here’s a preview of some 2021 rising freshmen who have performed well over the summer and could see some important varsity minutes as freshmen or hold great promise after a year of seasoning. Averaging 23.4 points, 5.9 rebounds, 4.8 assists and 3.1 steals per game over the summer, Tykevious Curry has proven to be a potent scorer with the ability to get off his mid-range jumper. He will be a strong addition to a loaded Calhoun County roster that returns everyone from this year’s Class A-Public state runner-up team. Darreonte Gainer is the type of player that can turn the fortunes of a program around in a blink of an eye, especially at the Class A-Public level. Just as he did in his only year on the job at Toombs County, coach Laberton Sims will have a piece in place to win with over the next four years at his new home. The athletic wing can score inside and out and can play above the rim. He rebounds well for his size and causes havoc with his length on defense. You can’t teach size. Justin Carter has it. 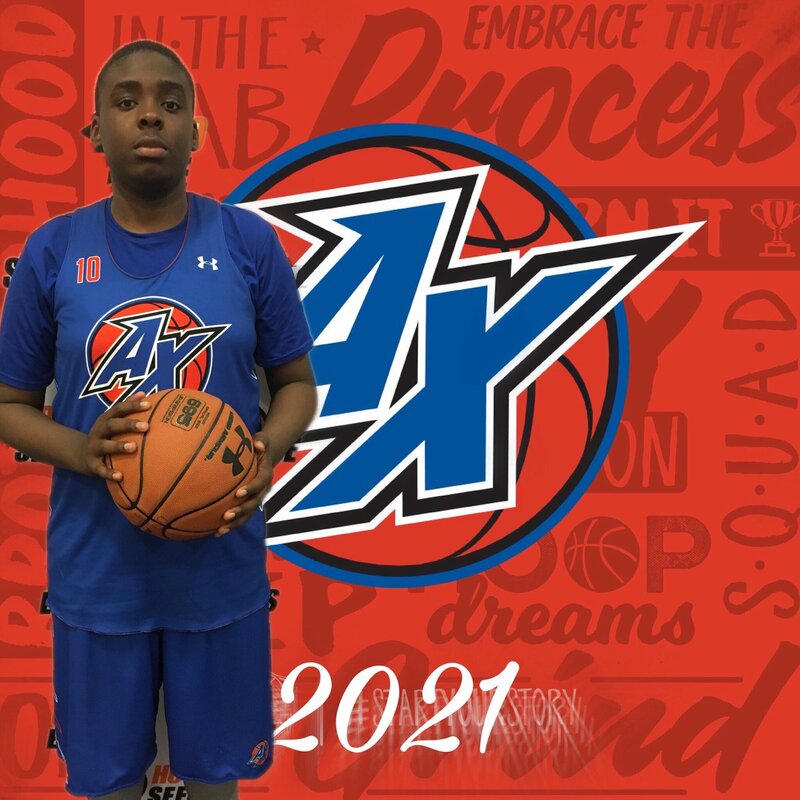 While he will need to get in better shape and mature like many incoming freshmen, once he does he could become another Class A-Public standout just like his other three Atlanta Xpress Bogan teammates. Carter has a soft touch around the basket and shoots the ball well from the foul line. 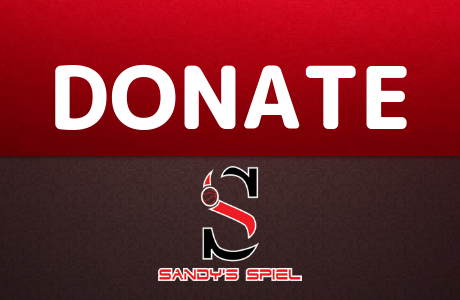 He makes smart passes out of the post and on defense, uses his body well and can block shots. Madison Durr has been a popular name on travel ball circuits for a while now. The sharp guard with size knows how to put the ball in the basket and how to compete. It will be interesting to see where the floor general ends up at for high school. Taihland Owens caught my eye this summer with his size and aggressiveness. 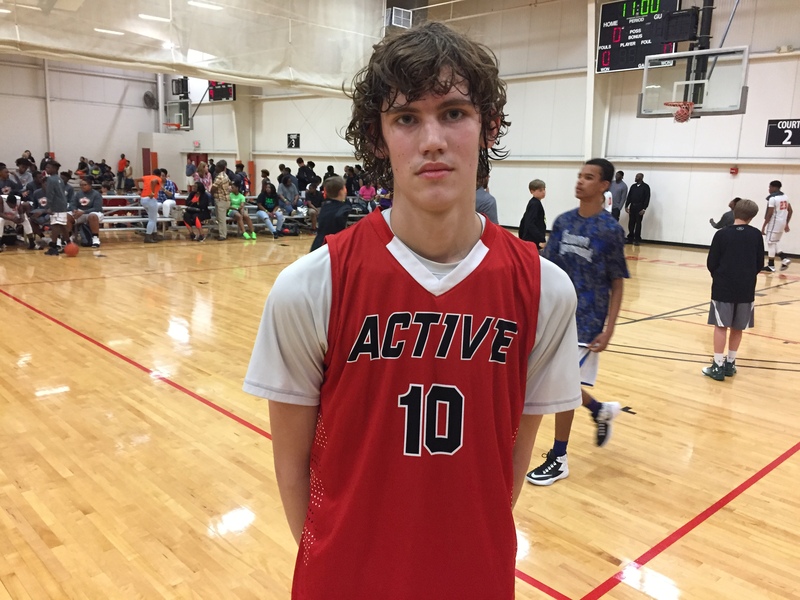 He is well put together for an incoming freshman and has a physical frame which could lead to him seeing minutes as a youngster in coach Roger Kvam’s system. Owens can shoot the three and attacks the rim in a downhill fashion. He gets after it on defense and could have a very bright future in Canton. Johnny Sweeney is a tall glass of water. Most players his age at that height with that length and not very coordinated or struggle to play inside. Sweeney doesn’t have those problems and uses his wing span the way you would hope. He is a great shot blocker that times his leaps well. Offensively, Sweeney has shown a turnaround jumper out of the post. He also is a smart passer. Size like his is hard to find in Cherokee County. 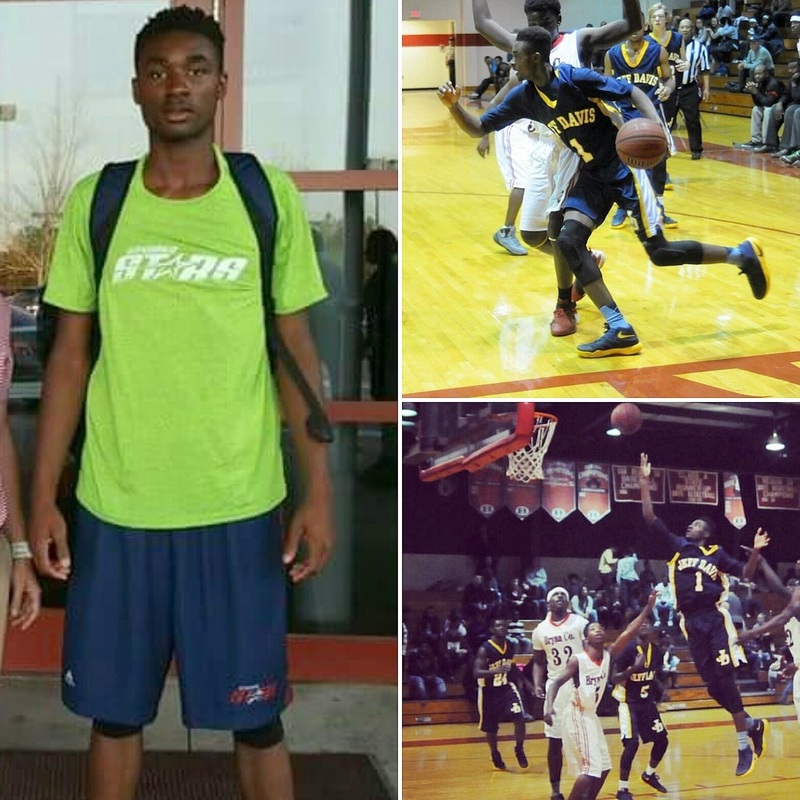 Known for his explosive play as a highly touted wide receiver, Dacari Collins is a talented basketball player as well. He’s a physical forward that scores in the paint and loves to get out and run. He can hit the high post jumper and rebounds in traffic. Collins is expected to decide between Woodward Academy and Westlake. 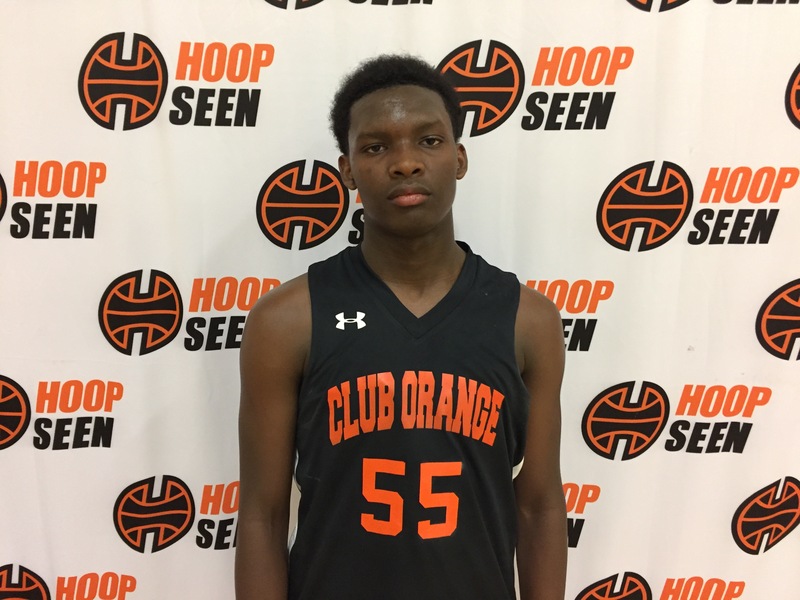 Omarion Smith is a rim protector that rebounds the ball exceptionally well. He is a nice athlete that doesn’t mind doing the dirty work. He has to keep his head screwed on and not let opponents frustrate him. He is still growing and still maturing. Smith has the tools to become a major interior presence. 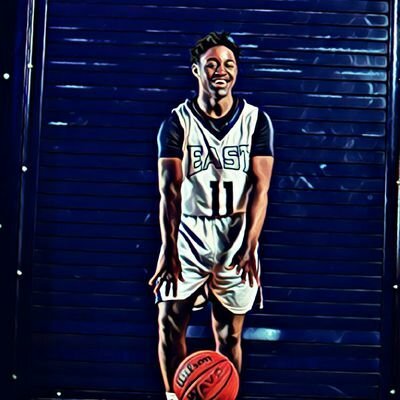 The future of East Jackson basketball could lay in Makayl Rakestraw’s hands. The point guard has a great feel for the game and thrives in transition while making the right decisions with the ball in his hands. He can score off the bounce and can open up defenses with his three-point shot. Justin Bogard, Joe Johnson of the Utah Jazz’s cousin, may not see time right away at Grayson, but could develop into a long term cornerstone for coach Geoffrey Pierce. Bogard scores from all over the floor with his unorthodox lefty stoke. He has shown over the summer the ability to carry his team with his scoring prowess. Already with nice size, check back on Bogard at the end of next season. Max Harris is a shooter and a scorer. He will have to work hard to crack into the South Gwinnett rotation, but his upside is high and the task is doable. 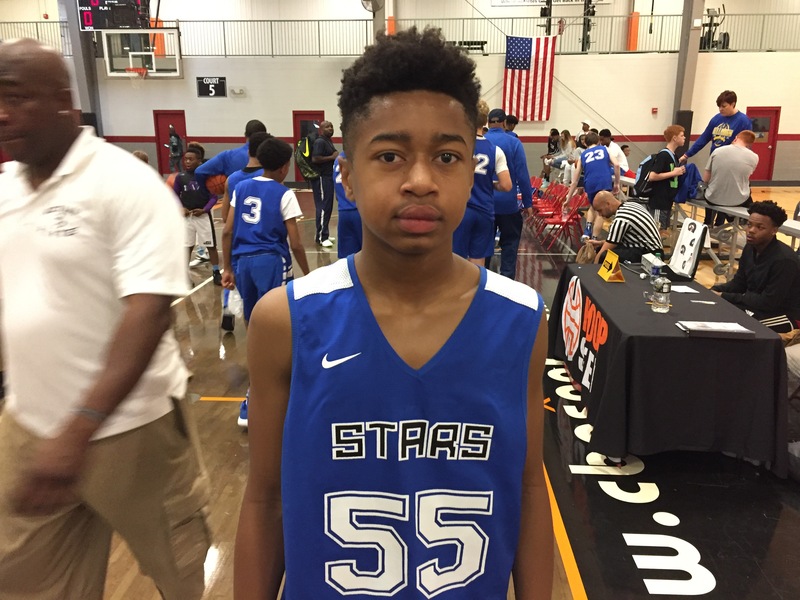 He has been a consistent producer in the Georgia Stars backcourt. Harris could be another important piece in coach Ty Anderson’s resurgence of the South Gwinnett program. 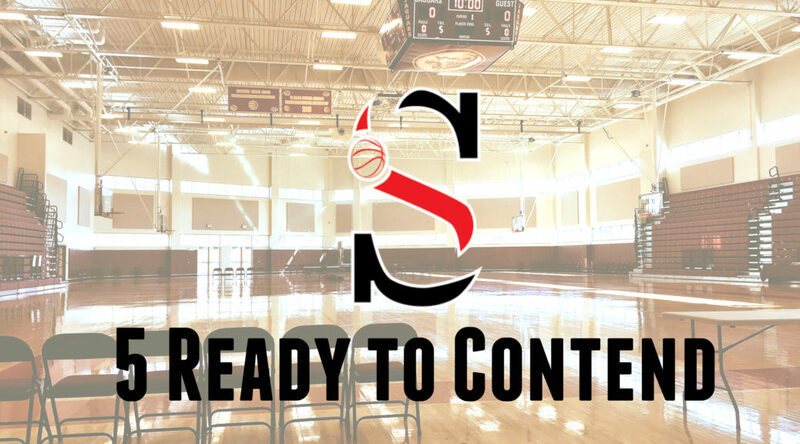 From good to great, these teams are looking to take the next step into becoming state championship contenders. 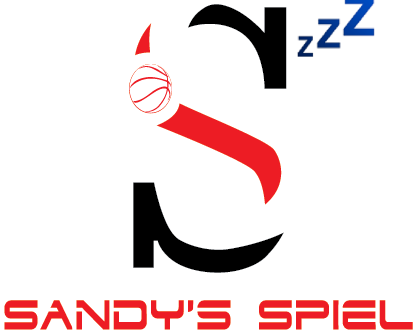 While there are blue bloods in every classification that will open up as perennial favorites, these “Cinderella stories” should be in the discussion as dark horses to make a deep run. It’s now or never for the Atomsmashers to regain control of Region 3. Coach Utaff Gordon returns his top three scorers from a group that pushed eventual state champion Pace Academy to the brink in the Sweet 16 before running out of gas 49-41. 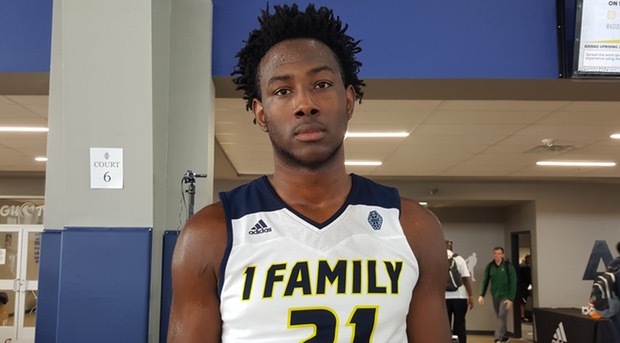 6-foot-8 senior Amanze Ngumezi must take his game to the next level after averaging 12.8 points per game and earning more D-I offers this spring. 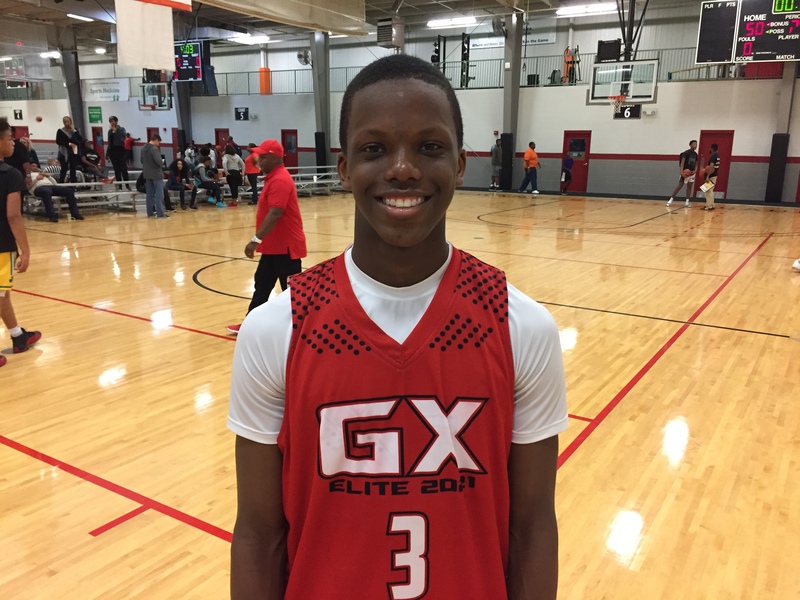 2019 guard Shamar Jones led Johnson in scoring at 13.2 points while brothers Eleik, E’Maury and Elavian Bowles bring energy and versatility to the backcourt. Jenkins, who went 3-1 vs. Johnson, should take a step back to the pack with Region 3 Player of the Year Trevion Lamar graduating along with sparkplug guard Zion Williams. 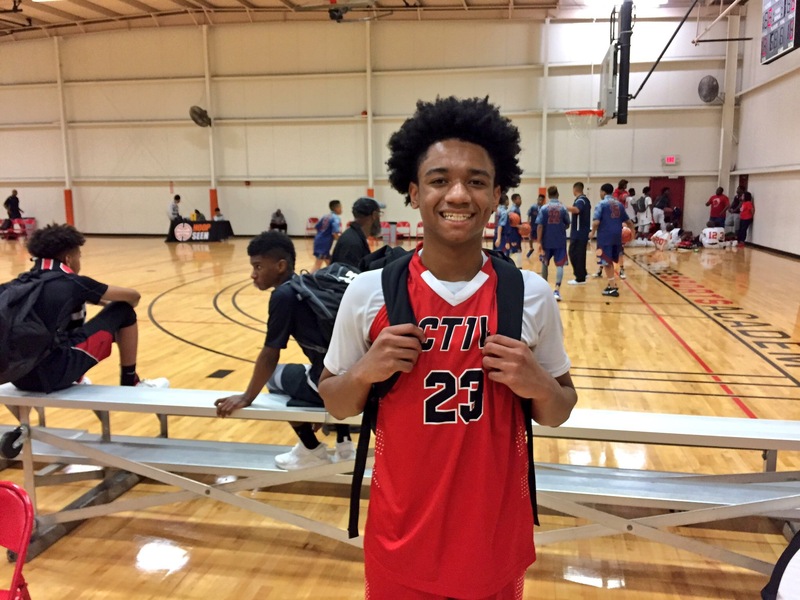 Islands has the best player in Savannah in junior point guard Trae Broadnax, but running mates Justin Cave and Hugh Durham have both graduated. If Johnson can’t grab the one-seed or at the very worst the two-seed, it will be a failed season unless they get hot in the state tournament. Coach Donnie Arrington is starting to build something in Hazlehurst. After going 105-38 in five years at Effingham County, Arrington decided to reconstruct Jeff Davis. He has done so. Now entering his fourth season, he has gone from 4-22 to 13-14 to 20-8 last year. Arrington’s centerpiece is Class AA Freshman of the Year Ja’Queze Kirby. At 6-foot-5, Kirby did it all for the Yellowjackets, leading the team in points (14.8), rebounds (11.7), assists (3.3), blocks (3.2) and second in steals (2.1). Second leading scorer Kirese Manley (13.4 ppg) and fourth and fifth leading scorers Chandler Davenport (9 ppg) and Tae Thomas (7.9 ppg) all return for their senior season. Swainsboro and Vidalia will still be tough customers but Kirby’s versatility could be the ace up Jeff Davis’ sleeve. The Yellowjackets were trounced as the three-seed in the first round of the playoffs by Butler, 88-67. The clouds have finally parted for the Eagles to take flight. Those clouds over the past two seasons have been known as the Lakeview Academy Lions, but with a massive senior class graduating, it may be time for Athens Christian to regain their perch atop Region 8. Just three seasons ago, the Eagles finished 29-1 behind current UGA Bulldog “Turtle” Jackson. Athens Christian doesn’t have a stud like that this year, but they do return an extremely young team that fell in the Class A-Private Elite Eight to, guess who, Lakeview Academy for the third time last year. Everybody returns from a team that suited up five freshmen, two sophomores and six juniors. 6-foot-5 freshman Quincy Canty led the team in scoring and was an All-Region Second Team selection. Senior Cody Boyd brings experience to the backcourt and a crafty scoring touch with his left-handed stroke. Richard Jibunor and Kohl Phillips are both important pieces heading into their senior seasons. Jibunor is a physical 6-foot-3 presence inside who holds SEC offers for football. Lastly, rising sophomore guard Tyler Johnson looks ready to make even more of an impact in year two. He has put together a strong summer with his scoring prowess. He plays bigger than his size, allowing him to rebound at a high clip and defend multiple positions. Offensively, Johnson can pour it on from beyond the arc. There is a lot to like about the Eagles. Whenever you have two grown men on your team, you have a great chance to make some noise, especially in Class A-Public. JaQuavius “Tayne” Smith and ZyTavian Hill were named Second Team and Honorable Mention All-State respectively their junior seasons. Smith, 6-foot-5, is a long guard that averaged 17.3 points per game and can gash teams with his drives. Hill stands 6-foot-4 and is a chiseled athlete with great hands. He has a quick burst to the basket but most impressive is his tenacious rebounding. 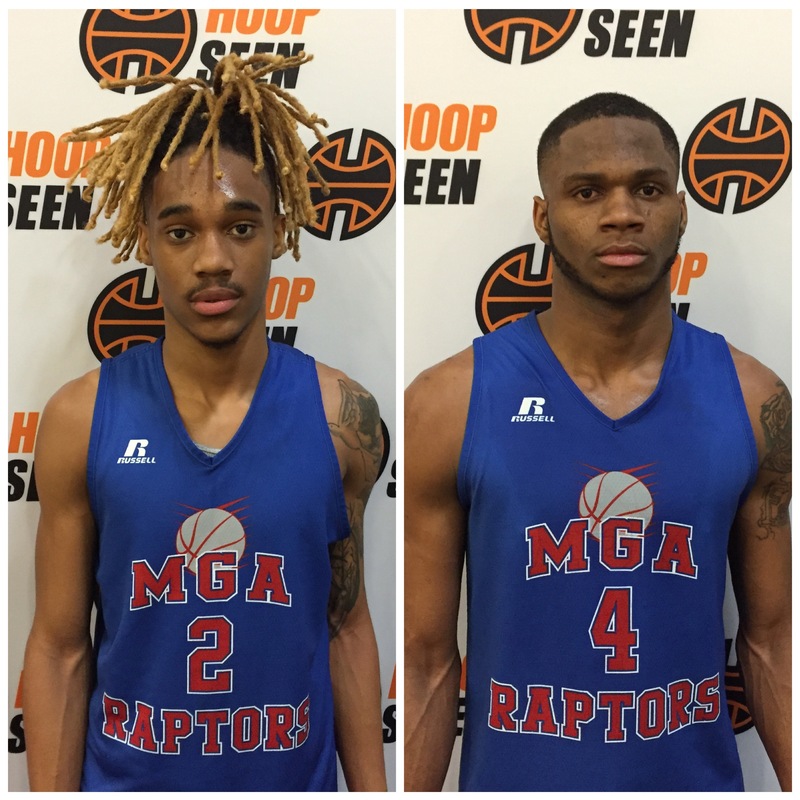 Playing with the Middle Georgia Raptors, the duo has seen elite level talent which will prepare them for their final high school season. Outside of Smith and Hill will be the deciding factor on how far the Hawks will go in the postseason. Central-Talbotton lost at Taylor County in the Sweet 16, 51-41. If Smith and Hill get some help around them and Coach Fred Cotton finds a way to put them in a position to succeed, a trip to the Elite Eight or even Final Four shouldn’t be unattainable. If there is a Class A-Public team that could get hot and go all the way, look no further than Macon County. Following a 61-47 Final Four loss to eventual state champion Wilkinson County, the Bulldogs got a taste of what it takes to win a title. With unconscionable scorer Clayton Jenkins back for his senior season along with athletic forward Trey Brown and a couple other pieces starting to come of age, Macon County is a dangerous team. Jenkins averaged 22.3 points and isn’t afraid to pull the trigger from anywhere across half court. Brown provides the dirty work at 14.5 points and 8.7 rebounds while rising sophomore Lakeviyon Walker and junior Makevion Bonner could be the two to get the Bulldogs over the hump. Walker, 5-foot-11, brings his football physicality to the hardwood. He averaged 9.5 points, 6 rebounds and 3.3 assists as a playmaker who plays with a chip on his shoulder. His ability to stretch the floor next to Jenkins makes for a lethal combination. Bonner is a long 6-foot-5 wing that is just starting to scratch the surface of his potential. He averaged 6.2 points, 4.9 rebounds, 3 assists and 1.2 blocks. His progression will be uber-important to Macon County’s future. 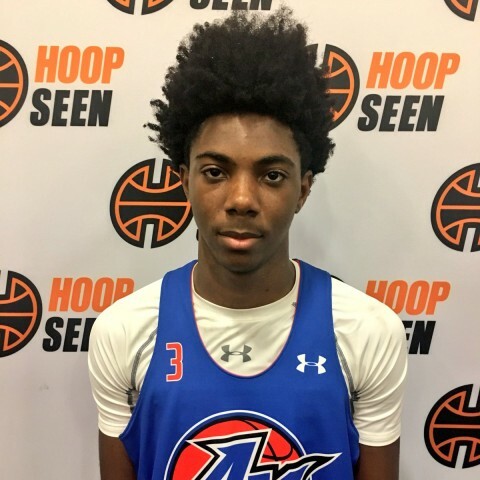 He could develop into a much-needed defensive stopper to slow down the likes of Clarence Jackson (Wilkinson County), Rashun Williams (Calhoun County) and Tayne Smith (Central-Talbotton), just to name a few of Class A-Public’s top wings. Out of last year’s three sleeper teams, both Lakeside-Evans and Mountain View had their best seasons in school history, winning their respective regions in the process. Alexander improved it’s win total by four games (17-8), but failed to reach the postseason. 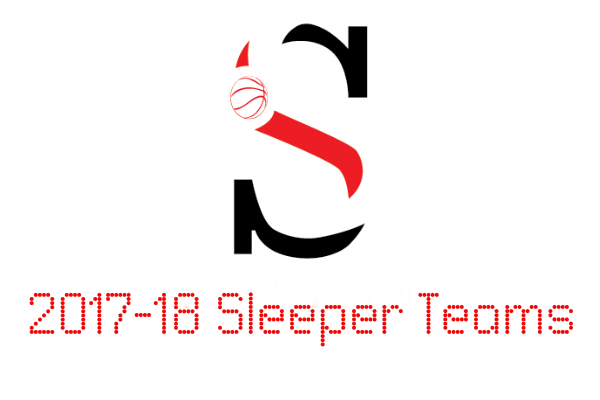 While the transfer news hasn’t come in at a rapid pace just yet – and could most certainly change the landscape of the GHSA – here’s an early look at who could be this upcoming season’s most improved teams. Jalyn. McCreary. 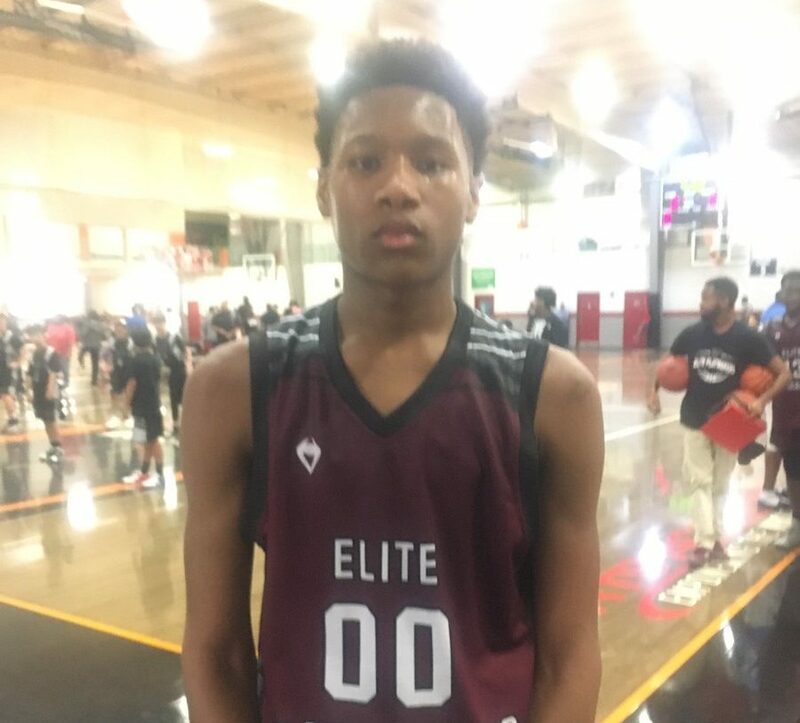 Now eligible after having to sit out a season, the 2019 6-foot-6 forward is the ultimate game changer. With the ability to score inside and out and take over games on both sides of the court, the lanky lefty has All-State written all over him. 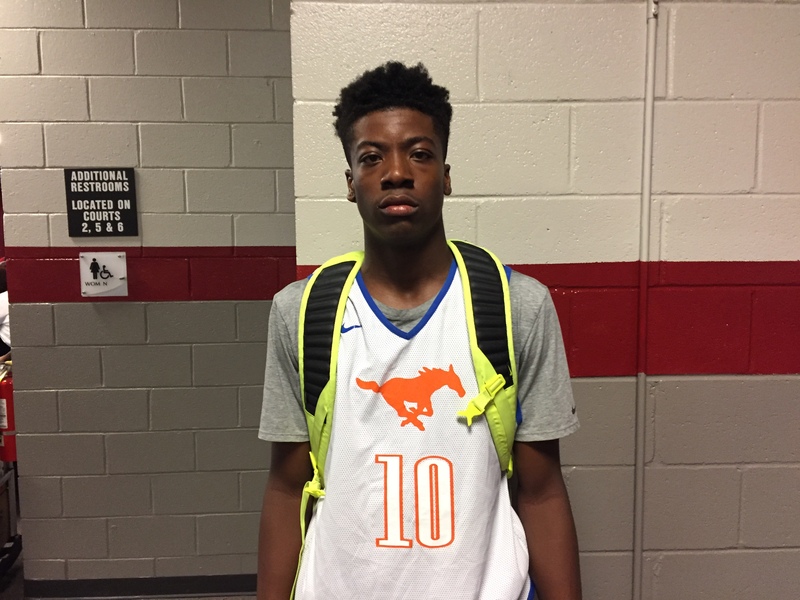 With Houston and Oklahoma State already having shown interest before ever playing a varsity game, McCreary gives Coach Jesse Bonner a hell of a weapon to deploy against region rival McEachern and Isaac Okoro. McCreary joins a roster that graduates just two players and returns bucket-getter and All-Region Second Team selection, Josh Strong, who averaged 22 points per game at the Lake City Classic last season as a junior guard. Marietta is set to return their second and third-leading scorers while Hillgrove graduates eight players. If things go according to plan, it shouldn’t be a surprise to see Kennesaw Mountain battling for a two or three seed come region tournament time. The South Georgia region turned heads as they swept the paltry Region 3 in the state tournament. Coffee, who had the best regular season record out of the tiny five-team region, scored the most impressive first round victory, 77-71 in overtime against Heritage-Conyers. The Trojans let a double-digit second half lead slip through their fingers in the Sweet 16, falling 90-82 in overtime to South Paulding. In a region where no one stood out from the pack in 2016-17, that could change this upcoming year with Coffee seeming like the early favorite. With their top five scorers set to return, Coffee has an energizing blend of 2018’s and 2019’s now with postseason experience. They can sometimes play like they are wired on caffeine – frantic and out of control – but when they are clicking, the Trojans’ athleticism and quickness can burn teams. Jayce Moore returns for his junior season after powering the offense with team-highs of 16.7 points, 7.0 rebounds and 3.5 assists per game. Dalrone Donaldson is a raw 6-foot-3 forward that pounds the glass and averaged 12.4 points and 6.8 rebounds as a junior. Twins Jarquavius and Marquavius Jefferson speed up opposing ball handlers. Coffee is a streaky three-point shooting team, but when they are on like they were in the playoffs, they are a handful to stop. Coming off of a Sweet 16 appearance, the Hurricanes graduate just two players. Three All-Region performers return in Devin Sheats, Isaiah Glasper and intriguing 6-foot-7 wing Elijah Goodman. If Goodman can bring his game to the next level his senior season, Monroe Area should at least be able to grab the second-seed if they don’t overlook plucky teams like Franklin County and Hart County. The Hurricanes have shown glimpses of being able to compete at a high level, pushing Morgan County to overtime on the road before falling 63-59, and other times, they looked like a pretender, getting blown out at home by Morgan County 86-55 three weeks later. Consistency will be key for Monroe Area. Sean Sweeney saw a steep drop off in his first-year as head coach but it wasn’t his fault. While O’Showen Williams and Quintez Cephus graduated in 2016, Sweeney couldn’t have prepared for a plethora of injuries and 6-foot-7 big man Nate Brooks to transfer out in the middle of the season. With that being said, Stratford Academy still made the postseason, winning on the road in overtime at Darlington 68-67 before losing a defensive battle with Aquinas 40-34. All-Region First Teamer Nathan Hunt is set to return for his senior season. 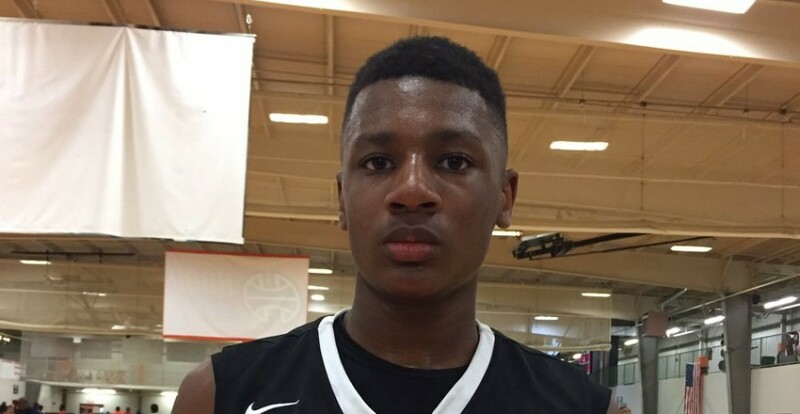 Rising junior guard Devin Butts is an interesting looking ball handler at 6-foot-4. The Eagles still won’t be at the level they were at in 2015-16, but they should finish above .500 and punch another ticket to the big dance. Why: Lakeside finds itself in a favorable region compared to last year’s. Region 3-AAAAAA has six total teams and out of them, Heritage-Conyers and Lakeside are the early favorites to win it. The Panthers avoid Richmond Academy, Warner Robins, Jones County and Northside-Warner Robins, strong programs that came out of the B-side of Region 2-AAAAA the past two seasons. If they can clinch a playoff berth, it will be their first since 2013-14. 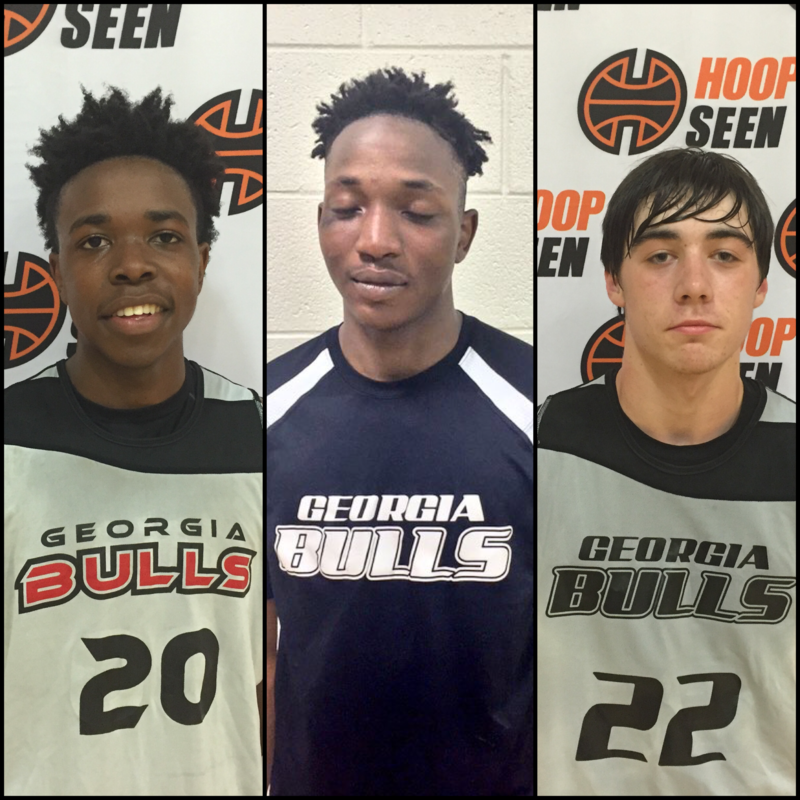 Players to Watch: New head coach Jeff Williams inherits a talented roster that has played together over the summer with the 16U Georgia Bulls. While Ryan Jolly (Augusta Prep) and Mike Dukes (Westminster) are key players on the travel team, Kalen Williams, Deon Berrien and Brad Hilley (father Jody stepped down as head coach) have all pulled their weight. Williams, a freshman, averaged 13.7 points per game as the team’s point guard. He does a good job of not only getting into the lane, but knocking down the three-ball. Brad Hilley averaged 2.7 points as a sophomore and is ready to take the next leap into earning more playing time. Over the summer Hilley has developed into a steady three-point marksman and hasn’t shied away from taking big shots. He does a good job of knowing where to shift, especially into the corners, to make for an easy natural pitch when Williams or another guard slices into the lane leading to an open three. Berrien was ineligible to begin last season but came on like gangbusters, averaging a team-leading 14.8 points and 13 rebounds per game. The 6-6 junior runs the floor well and finishes when he attacks the hoop. The double-double machine will benefit from playing with his two guards all summer. If you add in Kre’Sean Hall, a rising senior that averaged 11.1 points and 6.9 rebounds, the Panthers have a solid core that should make a run at the postseason in 2016-17. Why: Every key piece from last year’s team returns including freshman Cam Armstrong who has had a big season for 15U Team Forrest. 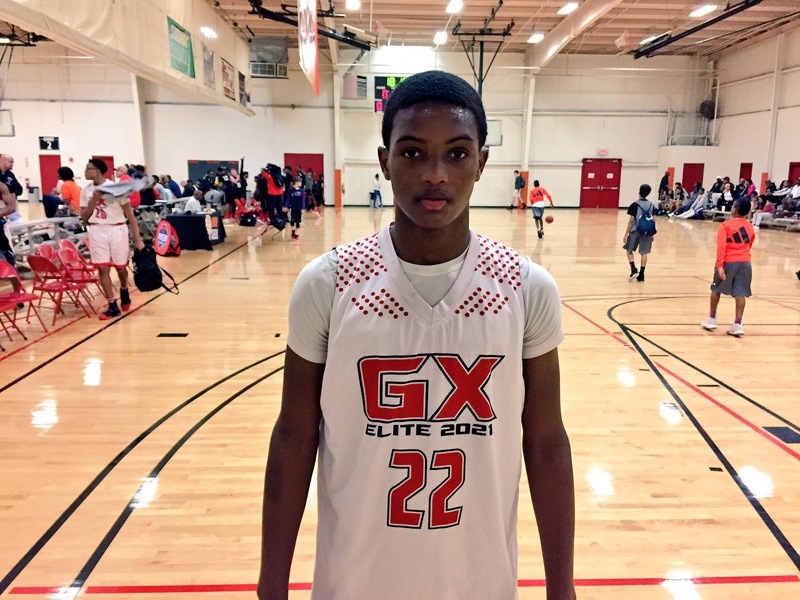 If Armstrong continues to develop, Alexander has a chance to be a tough out. Players to Watch: Alexander gets no favors moving into Region 5-AAAAAA where they will see familiar faces South Paulding and New Manchester along with the always athletic and talented Douglas County, Mays and Langston Hughes. 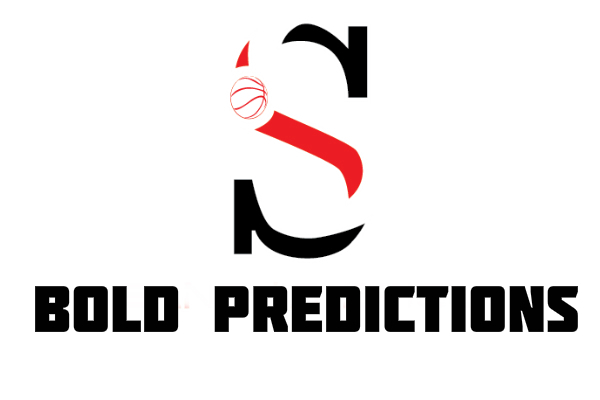 As tough as their region looks initially on paper, there is hope that the Cougars can claw their way back into the postseason. Coach Jason Slate’s top four leading scorers return with Rodrick Rapley (13.3 ppg) and Grant Howard (11.9 ppg) leading the way. Rapley, a junior, has good size at 6-3 along with Arealious (Zeek) Copeland, another junior. The two play together with the Elite Playmakers on the AAU circuit. Copeland averaged 7.3 points last year but looks like he could see a major increase his senior season with the way he has played this summer. Rising senior Damion Howell is a workhorse inside with his big 6-7 frame. The center is a throwback post player that gets his work done on the interior averaging 10.6 points, 5.7 rebounds and 1.2 blocks. 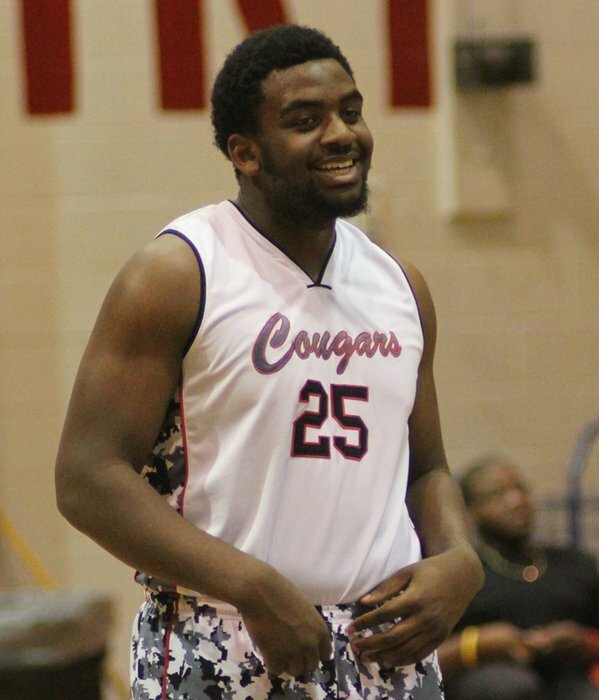 The wildcard for the Cougars might be Cam Armstrong, a slim guard that has some giddy-up when attacking the hole. He’s put together a nice summer and is looking more and more confident. 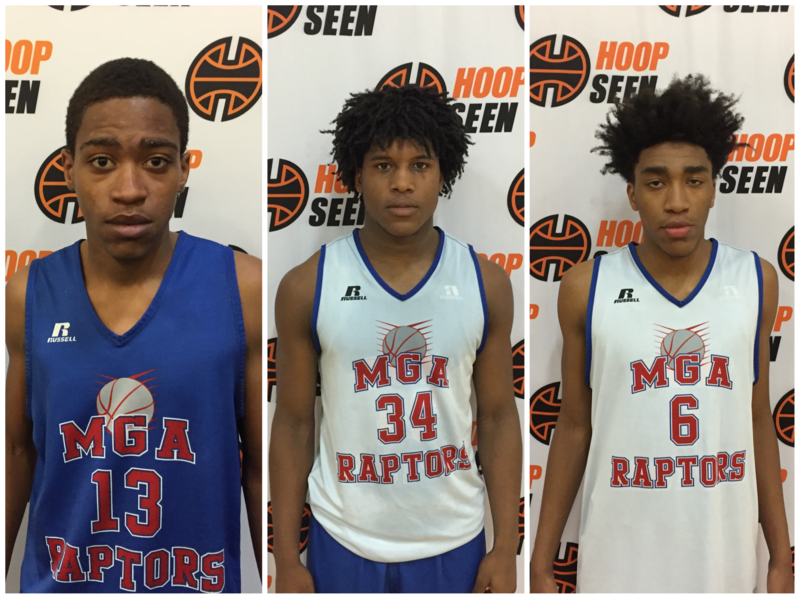 Why: An extremely young team competed well in the tough Region 7-AAAAAA last year. Five sophomores and two freshman saw meaningful minutes. Five players have played together this summer with the Heat Check. 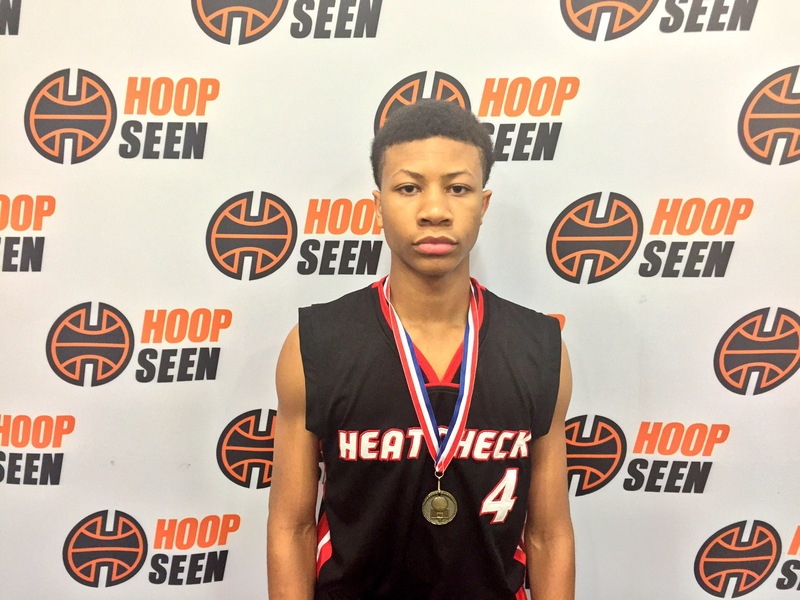 This past weekend at Georgia Cup IV, Heat Check played up a grade in the 17U division and won the title, knocking off some very good competition along the way. Players to Watch: Mountain View has the second-smallest projected student enrollment in the new Class AAAAAAA with 2,098 kids, just six more than Westlake’s 2,092 in Region 2. Mountain View will be placed in Region 6 along with Collins Hill, Duluth, Discovery, North Gwinnett, Mill Creek and Peachtree Ridge. It’s always stiff competition in Gwinnett, but Mountain View has as good a shot as anybody to earn a postseason berth and in the process clinch their first ever playoff appearance. Youth will be served as Coach BJ Roy’s patience is on the brink of paying off. Last year 6-3 sophomore Spencer Rodgers led the team in scoring at 15.4 per game. Rodgers and diminutive 5-7 freshman point guard Donell Nixon II make up the Mountain View Splash Brothers. Rodgers hit 79-of-183 (43%) while Nixon II drilled 69-of-154 (45%) from beyond the arc. Sophomores Miles Long (8.5 ppg), Kevin Kayongo (5.5 ppg, 4.7 rpg) and Jalen Hayes (3.5 ppg) make up a talented backcourt. 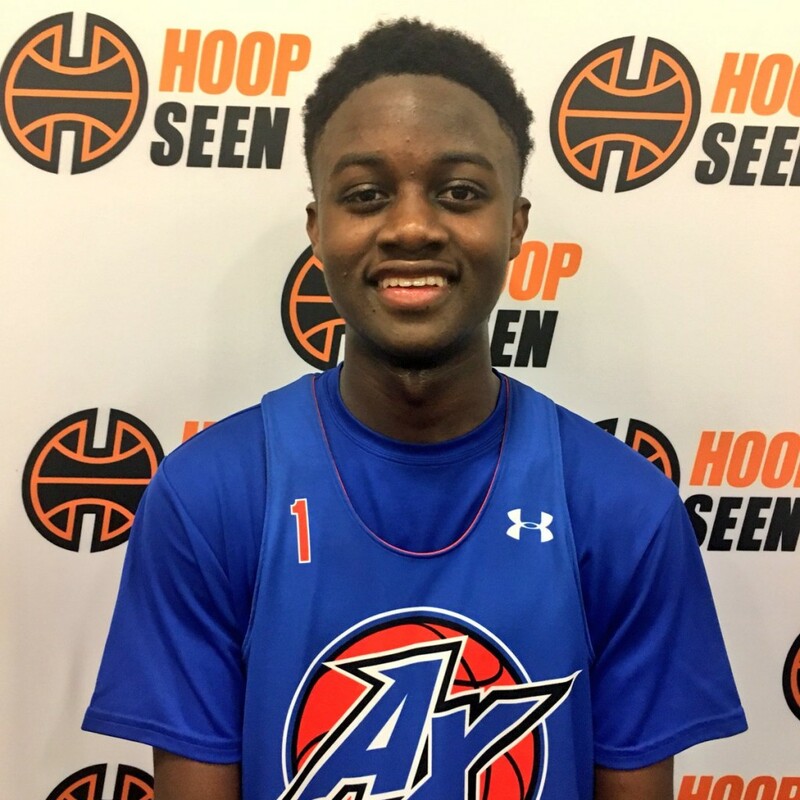 Kayongo at 6-4 is a very versatile player that can handle the ball in transition from his small forward position and also help out on the boards and defend well. Hayes’ twin brother Nick is graduating, making room for the younger Hayes to make an impact. Sophomore Alex Wesig and junior Uchenna Nwagbara are two well-built forwards that need to continue to hit the glass hard to make up for the Bears’ lack of major size. Brandon Green was a much ballyhooed freshman last year that saw playing time in spurts. At 6-4, Green may be in line for a major increase in minutes and a chance for a breakout sophomore season.